Today our friends left for Phoenix. Because it's been so cold here, we offered to drive Marlaina to Phoenix while MacGyver trailed behind on the Vespa. He had no choice but to go on the bike because it was the mode of transport he chose to use to come down to Tucson, but we couldn't in good conscience know that Marlaina was going to become a popsicle if she had to ride on the back. 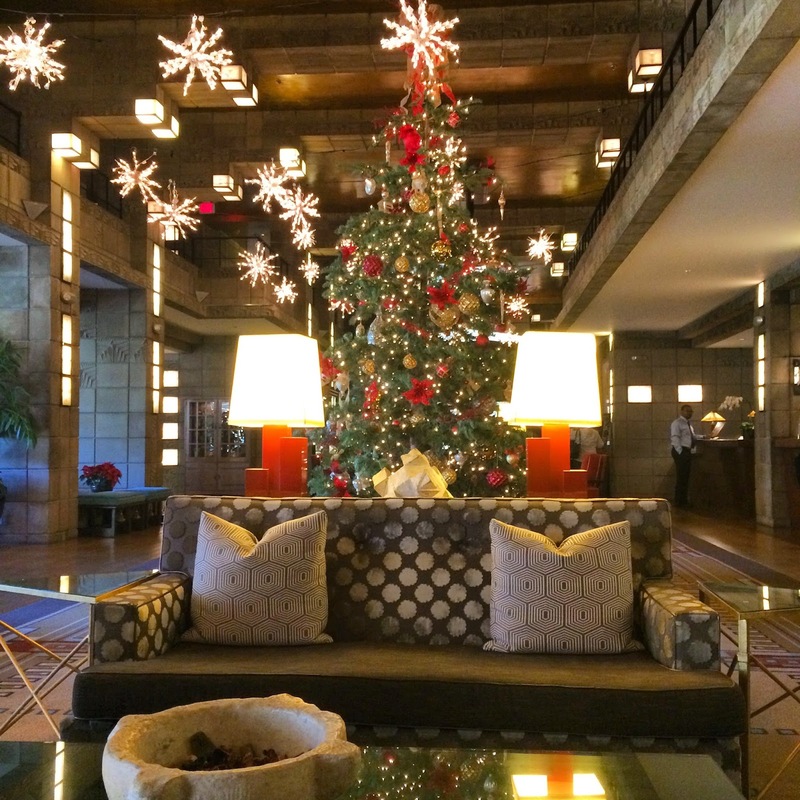 She accepted the offer and said she'd treat us to lunch at the Arizona Biltmore when we got there. Deal! We had lunch, checked out the room, walked around the grounds a little bit, and spent some time in the lobby people watching. There was quite a bit of post-holiday activity. It was our first time visiting the resort and the place was just beautiful. The Frank Lloyd Wright inspired design (he is not the architect of record) and the Christmas decorations made it sparkly and spectacular. We were sad to see our friends go, but it was the most perfect send-off.